The accommodation was good value for money and it served our purpose as we only really used it to sleep in as we were out all day and evening. Spacious, great value for money, quite close to metro station. Good connections to City center. Having an apartment was nice but it really wasn’t clean. Everything was great! Large bedroom. Comfortable bed. Fully-equipped kitchen. Proper bathroom. Friendly staff. Functional windows. Would 100% recommend. Great value for money, nice host, one bulb wasn't working and was replaced straight away when we pointed this out. IT was an excellent apartment. I would recommend it over hotel chains charging 3 times the price. We were met by Adam who was a wonderful host, nothing was any bother, if we did have a problem with anything all we had to do was call. The apartment had everything you needed. There was even a tray with coffee tea and milk sachets for our use. The location was perfect we paid 6.00 for a taxi into the centre of Newcastle. We were met by a nice friendly chap (sorry forgot his name) who quickly sorted out our arrival without any problem and was able to resolve issues around where we were to park and how/where to access our intended venue. The apartment was okay albeit a little tired (shower tiles and kitchen skirting boards) and bland looking, the position of the T.V. on the wall made it a little awkward for two of you watch in comfort for any length of time but these things were manageable. 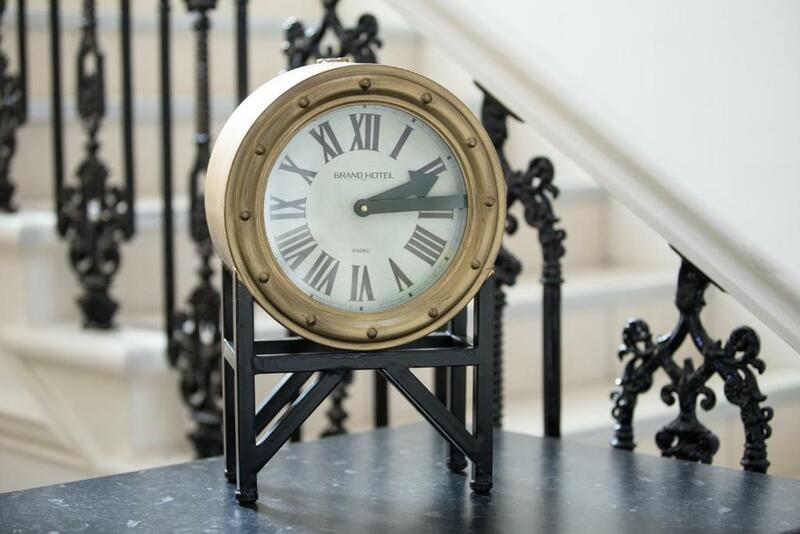 One of our bestsellers in Newcastle upon Tyne! 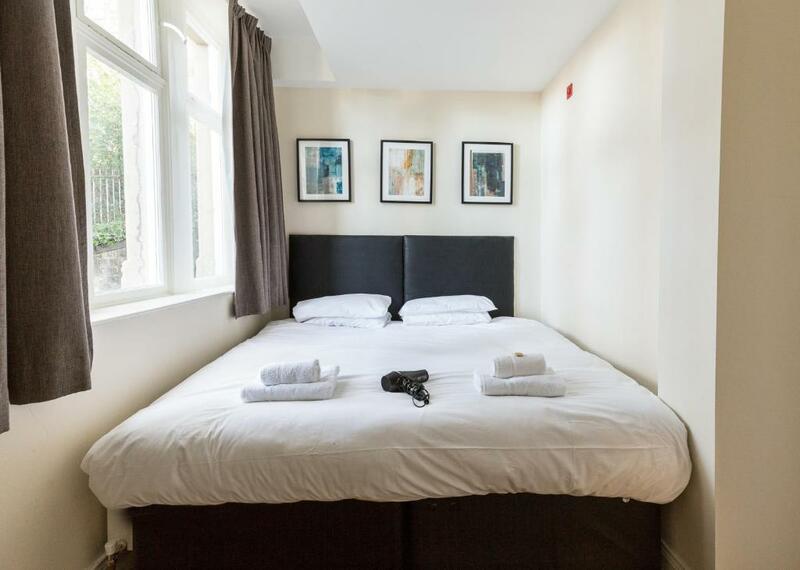 Situated within 2.1 miles of Quayside and 2.2 miles of Baltic Centre for Contemporary Art in Newcastle upon Tyne, The Apartment Company offers accommodation with a flat-screen TV. Complimentary WiFi is featured. 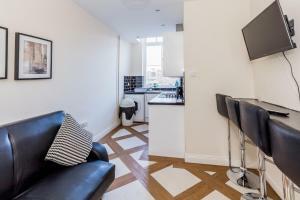 The units provide views of the city and come with a seating area, a washing machine, a fully equipped kitchen, and a private bathroom with free toiletries and a hair dryer. A dishwasher and kettle are also available. The Sage is 2.4 miles from the apartment. The nearest airport is Newcastle International Airport, 10.6 miles from the property. The Apartment Company has been welcoming Booking.com guests since 11 Nov 2015. When would you like to stay at The Apartment Company? 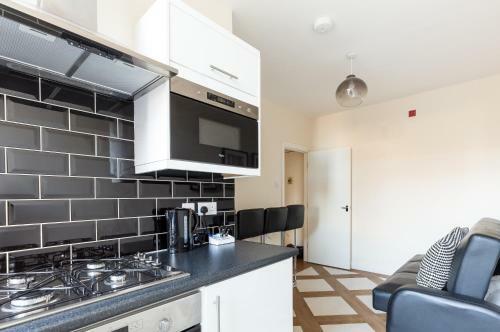 This apartment has an equipped kitchen complete with washing machine, oven and hob, fridge, kettle and toaster. 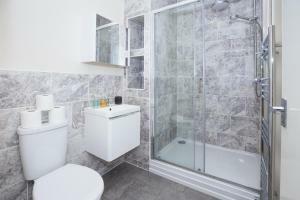 There is also a shower room, central heating and living room. Ironing facilities are provided. 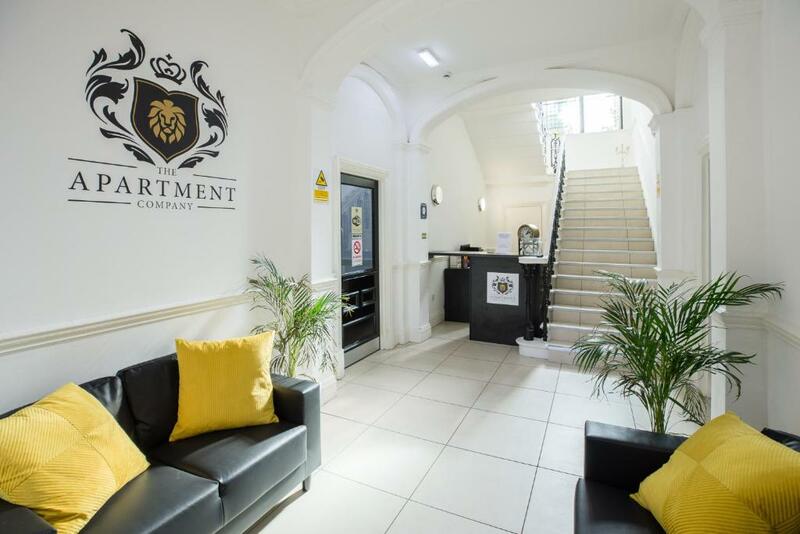 The Apartment Company formerly run by its own Felling Urban District Council from 1894 until 1974 has many of its own original features along with our own contemporary look throughout the apartments. Locally in Gateshead we have the We are 2 miles from Newcastle city centre. 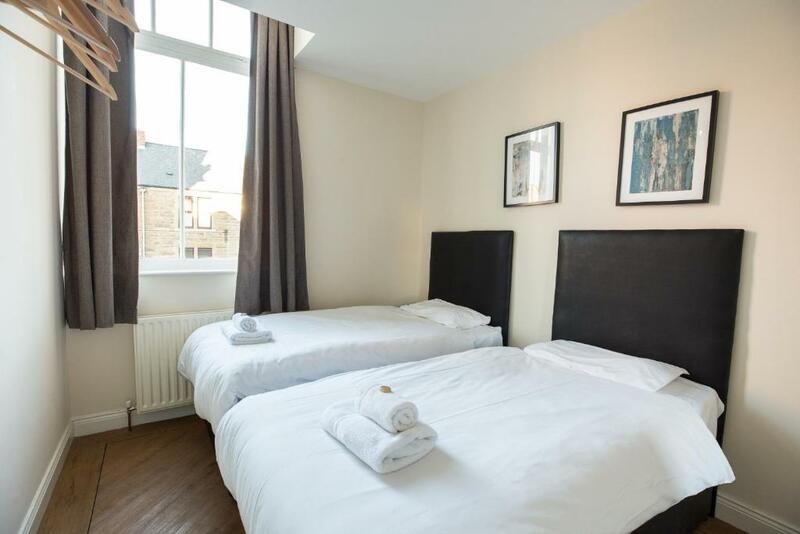 With free parking on site guest can leave there car and head into the city via local connection i.e buses, taxis and the metro (Felling or Heworth station) all located within minutes walking distance. There are two metro stops within walking distance of the apartments ( Felling and Heworth). Bus stop also located 100 yards away. Asda superstore 5 minutes walk away. House rules The Apartment Company takes special requests - add in the next step! Bankcard The Apartment Company accepts these cards and reserves the right to temporarily hold an amount prior to arrival. The Apartment Company accepts these cards and reserves the right to temporarily hold an amount prior to arrival. Had wear and tear the room but given the price. It was good. Booked 2 rooms and got 3 instead and we were spread out. The staff on the front desk were extremely rude and they were not very helpful. They were hardly around when we needed to ask questions. As our party arrived at different times, they were not all aware that there was a £20 payment that needed to be paid as a deposit. When the second group of people arrived, the front staff did not welcome them to the property, they simply pointed at the £20 which needed to be paid and did not even say hello. They were so desperate to get £20 of each of us that they actually came into our apartment to ask one of the lads who was still unpacking his stuff to go and pay. We were a group of 14, in 3 rooms and we were only given 2 front door keys and one key per room which was not ideal. The rooms were not very clean and the curtains in two of the bedrooms did not close properly. There were old sweets brushed under one of the beds. The pillows were very thin and uncomfortable. Broken beds. The landlord had withheld my deposit despite the beds being broken before we got there. Minimal customer service upon entry. Keys were handed to me and I was pointed in the direction of my room, with no conversation at all. No information provided about the property, parking or anything else. Numerous items listed as being in the property when making my booking, were not available in the property. There was never anyone present at the reception, despite the property stating that there is a 24/7 reception service. There was a strong smell of smoke in the bathroom at all times, and this spread throughout the rest of the property at times. Floors were not clean on arrival. Unable to open the windows within the property. I was extremely disappointed with my stay at this property, and I will not be returning or recommending this property. Not major things, but some lights did not work, could have had some drawers, shelves, hooks etc for storage etc. The staff where unhelpful and the apartment was really durty. The facilities in the apartment where really basic. The parking wasn’t secure. The corridors where noisy. But the biggest problem with the apartment was the exstreemly poor level of cleanliness of the room. Doors are fairly thin which meant I could hear other guests in the corridor and doors slamming. Equipped kitchen with complimentary tea and coffee. Towels and a warm shower with good pressure. 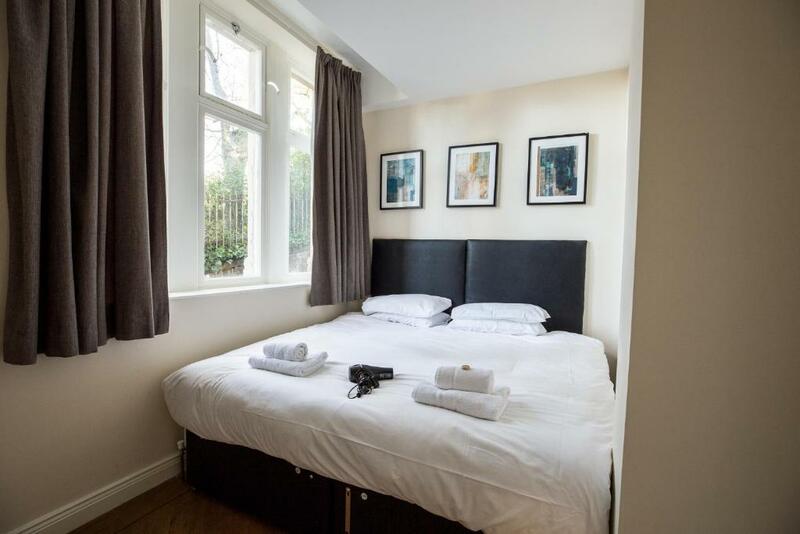 Cleanliness, location, lack of parking, doors opening to empty room, double bed was 2x single beds joined up. Would have had a small table in the living room but not required. Still lovely! Great location and perfect for what we needed.